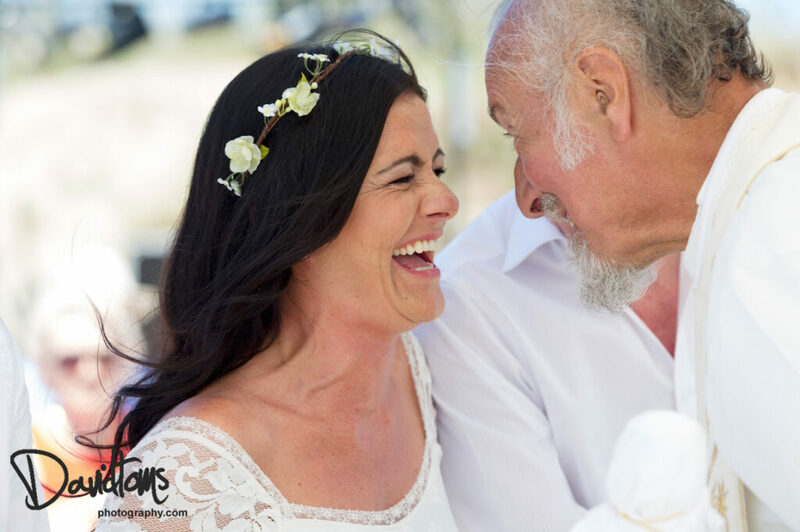 In Part 1 we met Padre Peter, the most entertaining marriage celebrant on the Spanish coast, who shared his tips on how to make your wedding service a success. In Part 2 he shares with us the amusing tale of the musical page boy and why he’d like to go back in history to Tudor England! Only the names have been changed to protect the innocent… I could go on for hours, but perhaps one of the funniest occurred in a lovely chapel near Mojacar. Part of its appeal is that it sports a “minstrels’ gallery” which, on this particular occasion, was filled with an Irish ceilidh band, complete with piper. As the moment arrived for the exchange of rings I perceived a tear forming in the eye of the bride. As I leant forward to proffer the handkerchief that I always carry against such an eventuality, the page boy – in the words of Geoffrey Chaucer – let forth a fart as loud as doth the trumpet sound. Not only did it break the ice, it nearly broke the chapel windows. In the split second before the place was engulfed in laughter there was an echo from the gallery as the piper collapsed onto his pipes. What is it about being a wedding celebrant on the Spanish coast that you enjoy so much? I suppose two things. Firstly, of course, I meet with a large number of lovely people. I have never seen an ugly bride – some sort of “glow” seems to come over the young ladies – and I have seen some real stunners. And I get to kiss them! (I refer to the ladies of course, although many of the gentlemen are quite charming). Secondly, I get to see some really beautiful locations, some of which, like private villas, are not open to the general public. What are the three most important aspects of any ceremony? Firstly, the happy couple have to be made to be at ease. It is surprising how many times I have been faced with a quaking nervous wreck of a bridegroom (And once a fainting Best Man). Fortunately, I seem to have the knack of making people relax, and by the time that the bride arrives, the groom is ready for battle. I also make a point of whispering to the bride how lovely she looks. She usually does! Secondly, there has to be a sense of “inclusiveness”. Certainly, it is the happy couple’s BIG DAY, but the guests have to be made to feel that they are part of it. Sometimes one can almost feel support and encouragement reaching out to the bride and groom, like some invisible blanket. Thirdly, there has to be a sense of “occasion”. This need not be, indeed must not be, “stuffy”. Registry Office ceremonies tend to be rather cold and formal, however friendly the registrar. These wedding blessings should show to the world that something very important is happening, and that it is being marked in a very special way. If you could ‘marry’ any famous couple, past or present, which wedding would you have liked to have presided over? And lastly… If you hadn’t got into this line of work – what would have been your Plan B? You mean, apart from the Funeral Directors? For a time I was District Secretary for Spain South for the Royal British Legion; I was a chaplain in the TA. I have always been a “worker priest”. After university I went into catering and thoroughly enjoyed myself as a chef (Hotelympia Chef-of-the-Year finalist in 1978!) I went into teaching professional cookery, and ended up as head of a catering school in east London. I studied part time for my PhD. I like to be kept occupied! I’m just sad that I won’t be able to conduct my own funeral. What a send-off I’d give myself! Thank you Padre Peter, for not only enlightening us on the world of weddings but for keeping us laughing all the way up the aisle.